Abe Fisher is looking for an experienced and motivated host to join our team. The ideal candidate thrives in a hospitality-driven, fast-paced environment, hosts a calm and friendly demeanor, and values teamwork. Working on weekends is required. Please apply with a resume and a paragraph about yourself and your availability. Compensation commensurate with experience. Opened in the Summer of 2014, Abe Fisher is a part of the CookNSolo restaurants, which owns Philadelphia's groundbreaking modern Israeli restaurant –Zahav. Located at 1623 Sansom Street in the heart of Rittenhouse Square, Abe Fisher is helmed by Chef Yehuda Sichel, formerly of Zahav, Brasserie Perrier, and Grace in Los Angeles. The Abe Fisher menu pulls together centuries-old flavors that range from Budapest to Montreal to Brooklyn, creating a meal that both modernizes and elevates the long-familiar classics of Jewish soul food. Dizengoff serves freshly-made hummus (heavy on the tehina) - topped with rotating seasonal garnishes like hot spiced lamb with pine nuts or avocado with harissa - accompanied by fresh, hearth-baked pita, chopped salad, and Israeli pickles. Lemonnana (Israeli-style frozen mint lemonade) and local craft beer wash down a vibrant and healthful meal that is a staple of every slice of Israeli society - from cab drivers to lawyers, cops to criminals, and politicians to students. 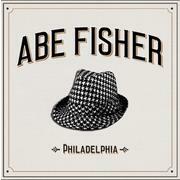 Abe Fisher is a member of the CooknSolo Restaurant group based in Philadelphia. Sister restaurants within CookNSolo include Zahav, Dizengoff, and Federal Donuts.